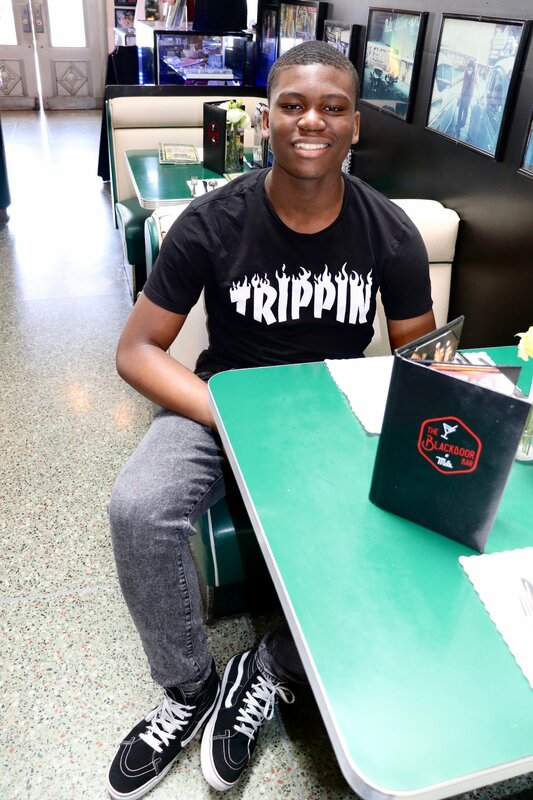 My son Esean turned 16 last month. Yes you heard right, six-teen. 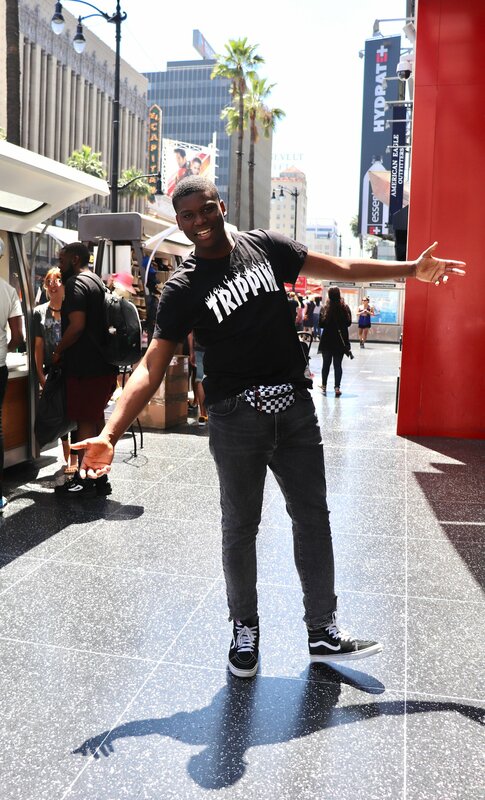 He asked if we could go to Los Angeles for his 16th Birthday Trip. So I said let’s do it. He’s a good kid. So I try not to say no so as long as it’s a reasonable request, and he deserves it. Reward your kids for good behavior. Show your kids the world. Keep them close and let them know you love them. Because this generation coming up is something else. Doing my best to keep mine on the right path and raise him up into a well rounded King. Anyway, we had lots of fun y’all. We did so much and took so many pics that I’m going to do a series of posts by day to share with you guys. Starting with a recap of Day 1. 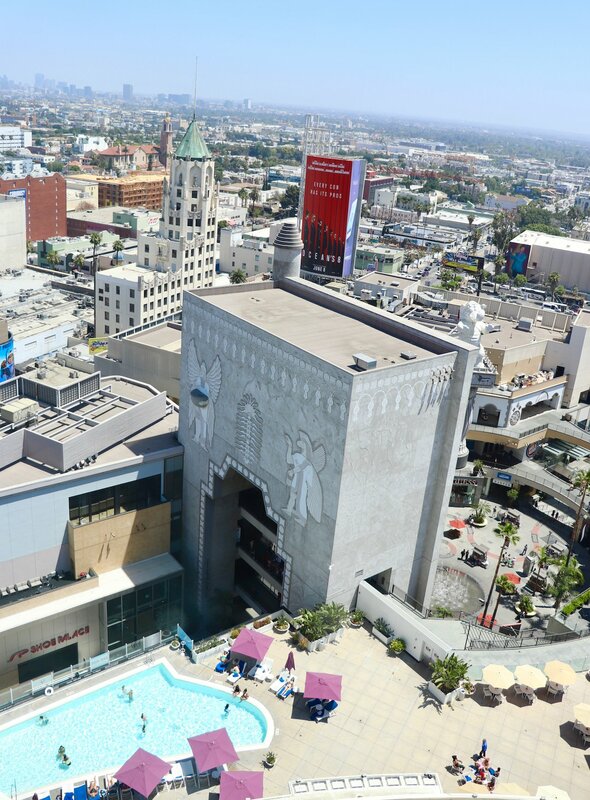 A lot of the things that we wanted to do was in the Hollywood area, or easily accessible from Hollywood. 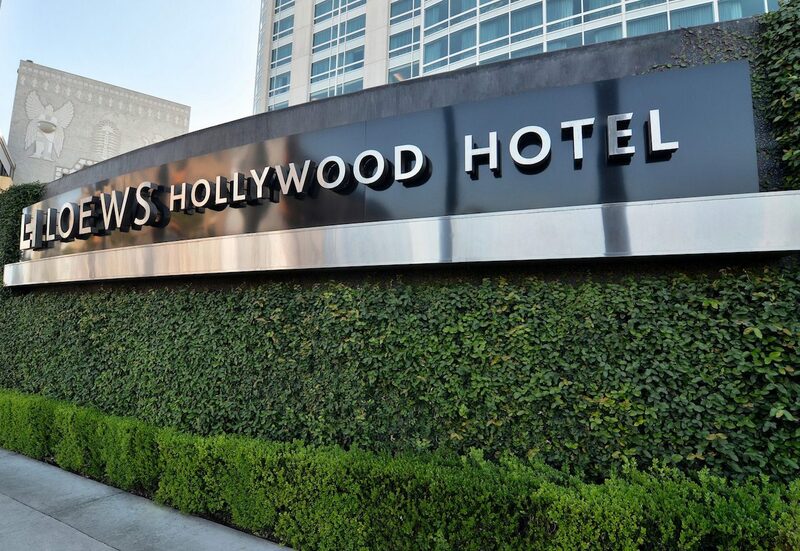 So we stayed at the Loews Hollywood since it’s right in the center of everything on Hollywood Blvd and Highland Ave. The area is still pretty busy at night which is important if you’ll be coming in late. 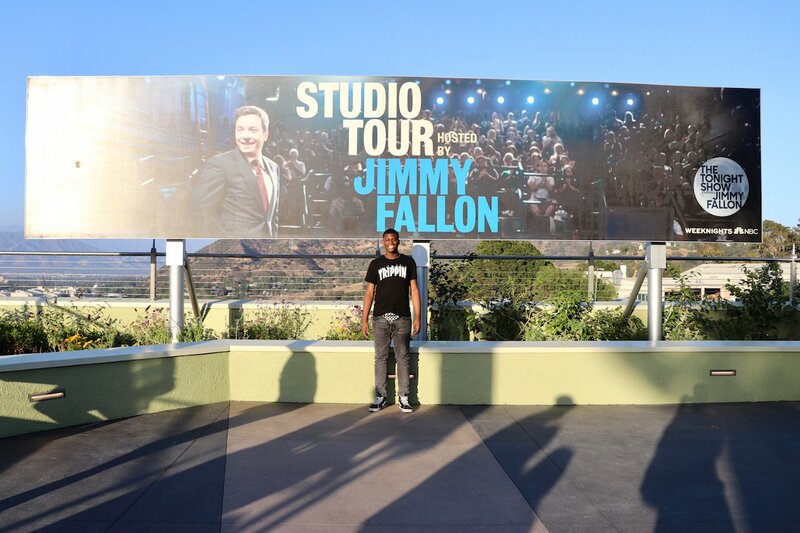 There’s a lot of vagabonds in certain areas of Hollywood. So I wanted to make sure that I chose a hotel in an area where we felt safe coming and going. The hotel was kind enough to give me a complimentary upgrade to a double room on the top floor, over looking the pool. I also received complimentary early check in since we were arriving early. And late check out since we were going home late. Upon arrival the hotel sent up a platter of fruit and some chocolate cake since I informed them that we were celebrating my son’s birthday. That made our day. It’s the little things like this that counts the most. 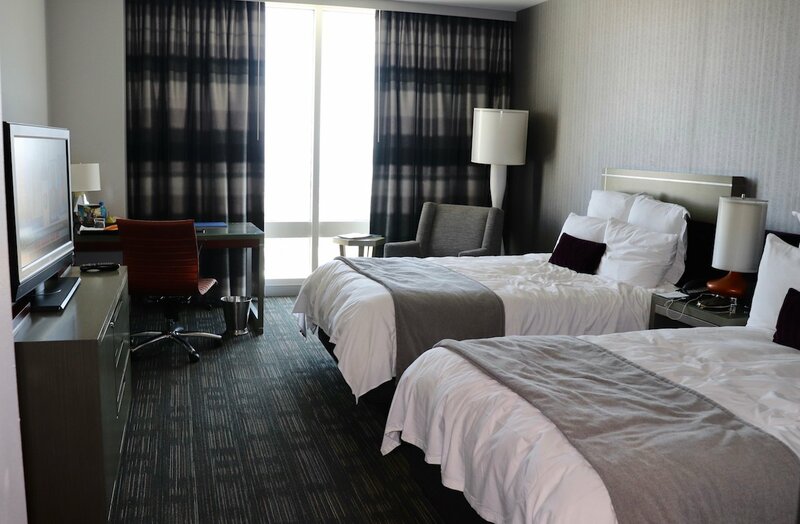 The room was clean, comfortable and cozy. Perfect for a five day stay. We dropped our bags and got settled in, then headed out for some food. 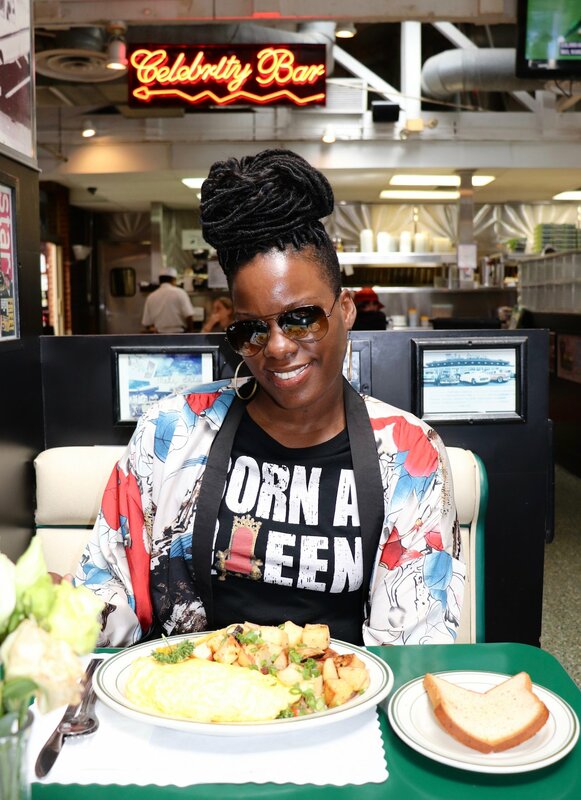 We made our way up the block to the famous Mel’s Drive-In for some brunch. Esean loves pancakes and usually orders them anytime we go somewhere that serves breakfast. Mel’s pancakes did not disappoint. 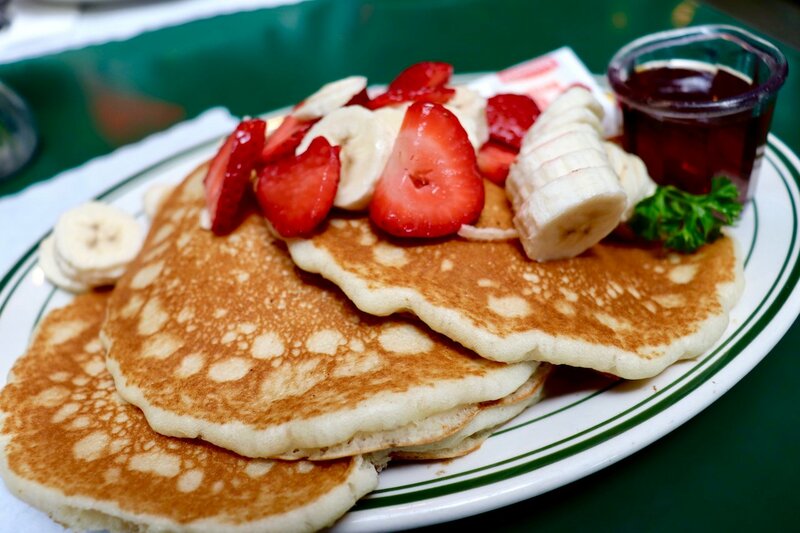 He ordered them with strawberries and bananas on top, and ate every drop. 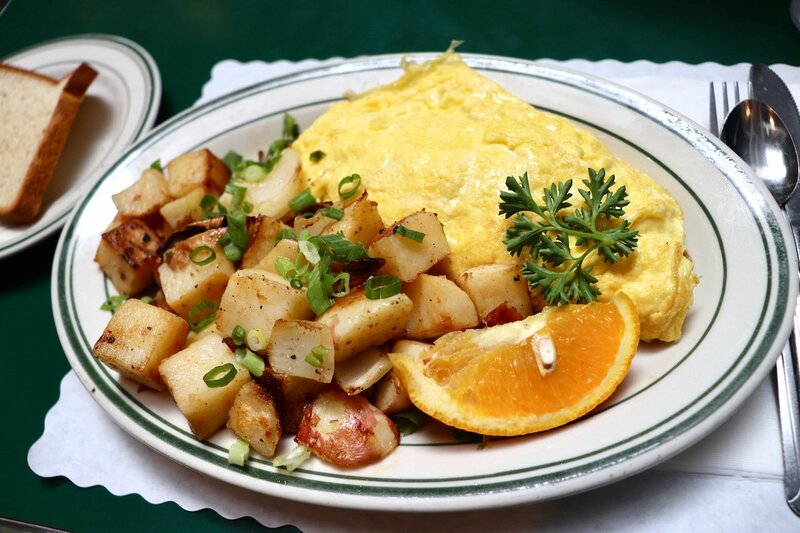 I opted for the Veggie Omelette. It was loaded with onions, peppers, mushrooms, asparagus, the works. And the home fries were so good! Now that our bellies were full, it was time to really kick off the 16th Birthday Trip. 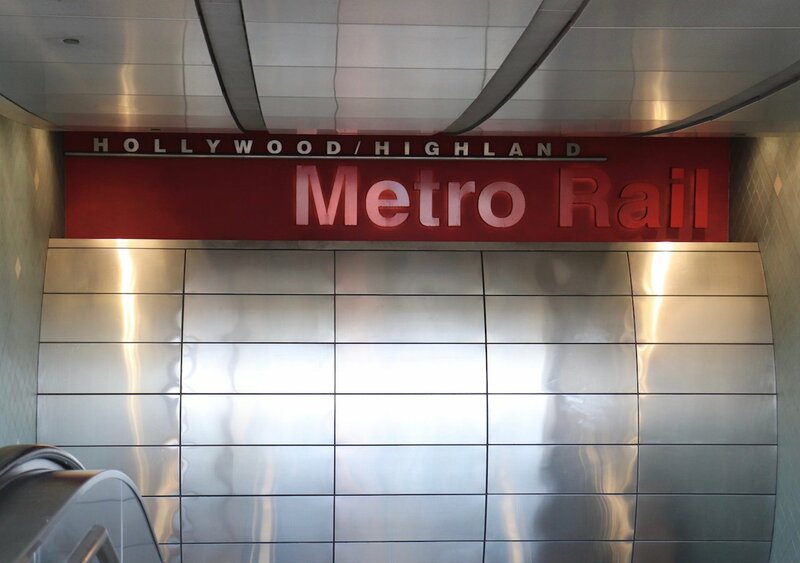 So we hopped on the Metro and headed to Universal Studios Hollywood since it was only two stops. The Metro was really easy to navigate and we felt safe every time we used it. We took the rail and the bus a lot during our trip and we never really felt unsafe. But we did run into a few crazies and dancing teens. Being from NYC we were used to it. If you think this would make you uncomfortable, I’d recommend sticking to Uber which we used as well. Get your first ride for free with my referral code ericam127 (I’ll get $5 off a ride in return). When we got off the Metro there was a free shuttle that takes you over to the park. The ride was about five minutes. Universal Studios Hollywood was kind enough to provide us with complimentary tickets along with front of the line passes. So we picked up our tickets and passes and started roaming the park. Neither Esean nor myself are big on roller coasters. But there was plenty of other things to do. 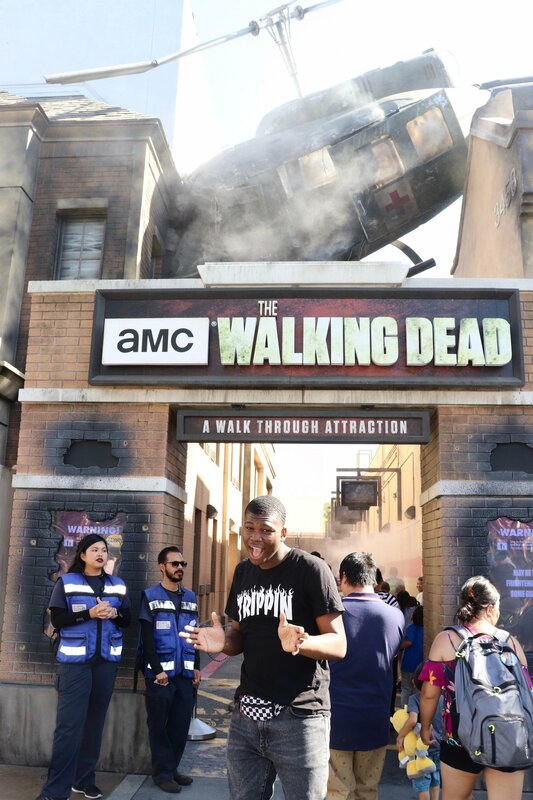 Like The Walking Dead Attraction. You pretty much walk through a few scenes from the show and the zombies are out to get you. Let’s just say that I let out a few screams and we did some running. It was scary but so much fun! Esean plays basketball and shoots hoops any chance he gets. 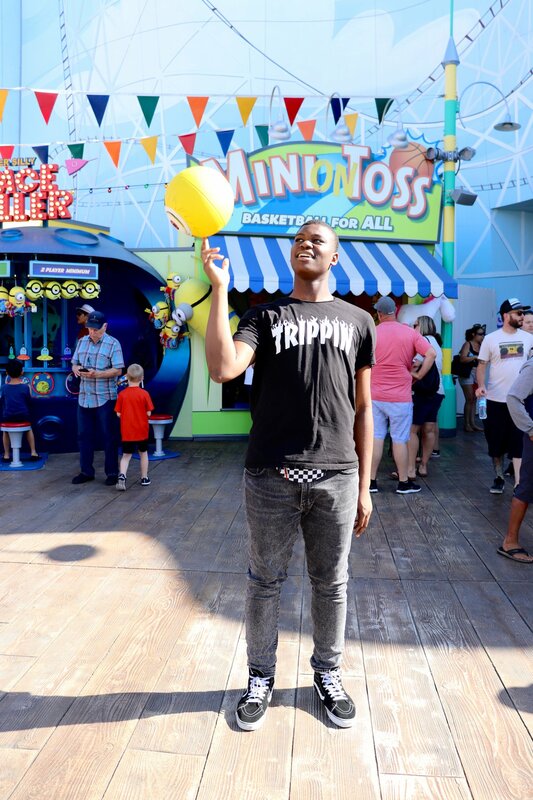 So of course he played the hoops games. 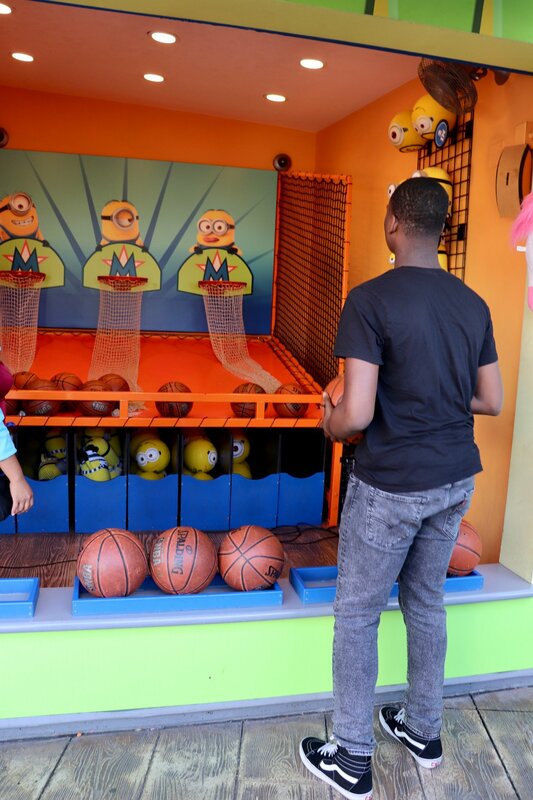 He won this Minion Basketball and then gave it away to an admiring child. Later on in the day he played another round of hoops in Springfield and won a stuffed Krusty The Clown for his girlfriend. 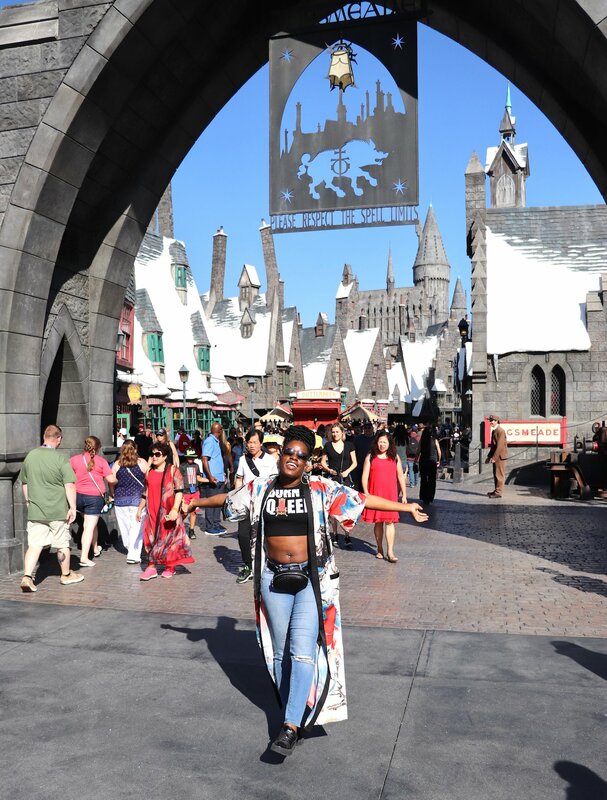 I was super excited to visit The Wizarding World Of Harry Potter as I’m a big fan of the series. 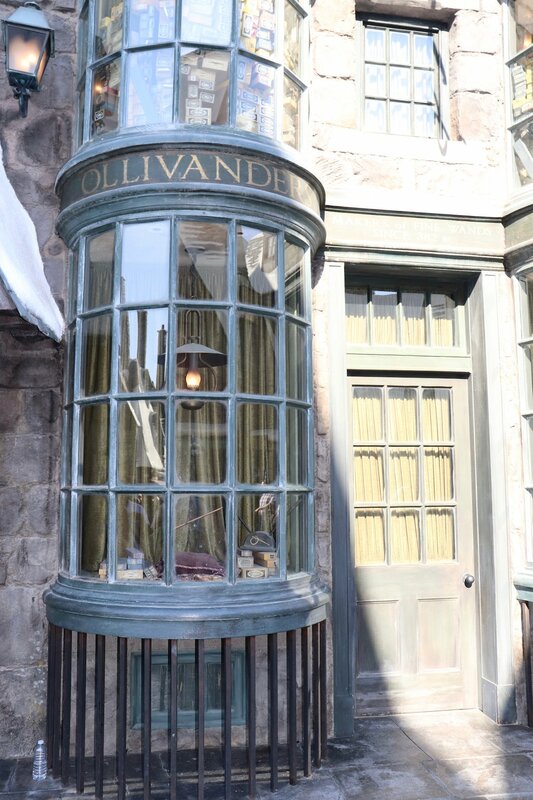 I was so bummed that I didn’t get to visit Ollivander’s Wand Shop as the line was just too long, and the front of the line passes weren’t valid for this attraction. 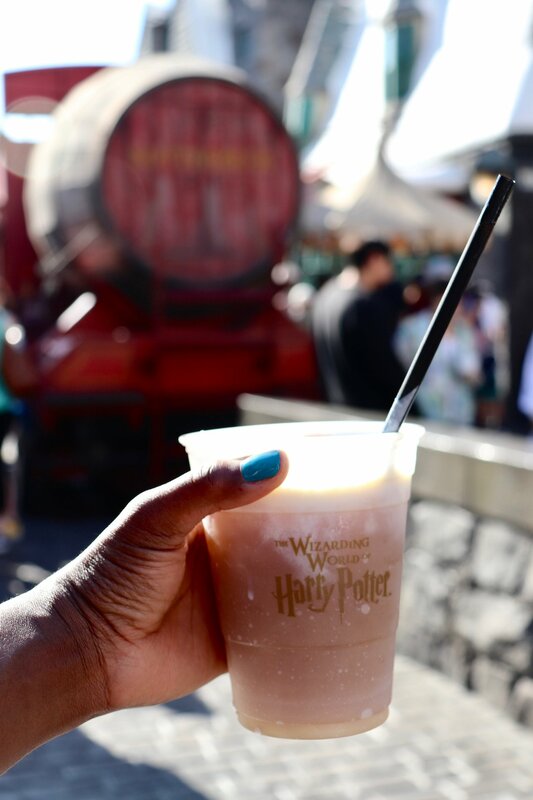 But the Butterbeer made up for it. This bubbly non-alcoholic beverage tastes like a mixture of cream soda, butter and ice cream. It was divine and so refreshing in the heat! 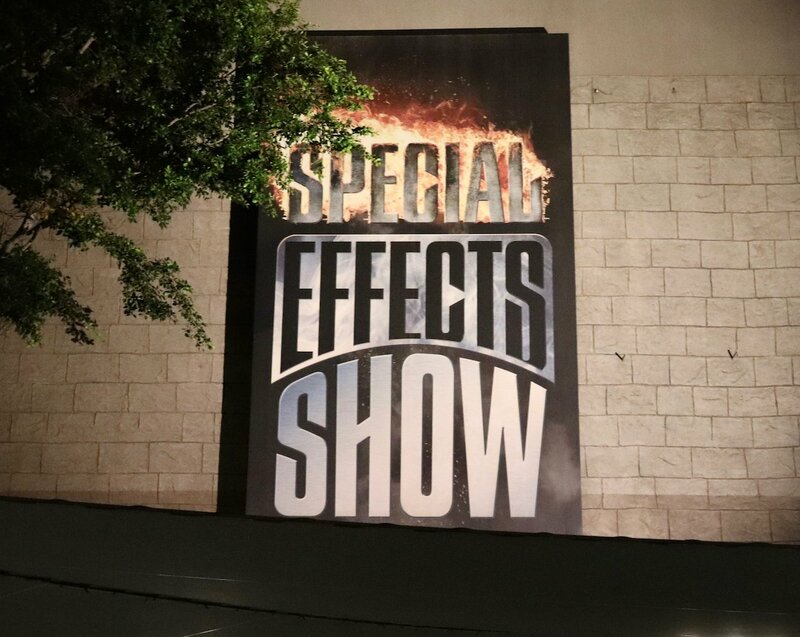 We truly enjoyed the Special Effects Show. We learned how to create sound effects with regular household items. How to “cut off” limbs for movies and make it look real. And we even learned how to set someone on fire safely (for movies and not to be tried at home). 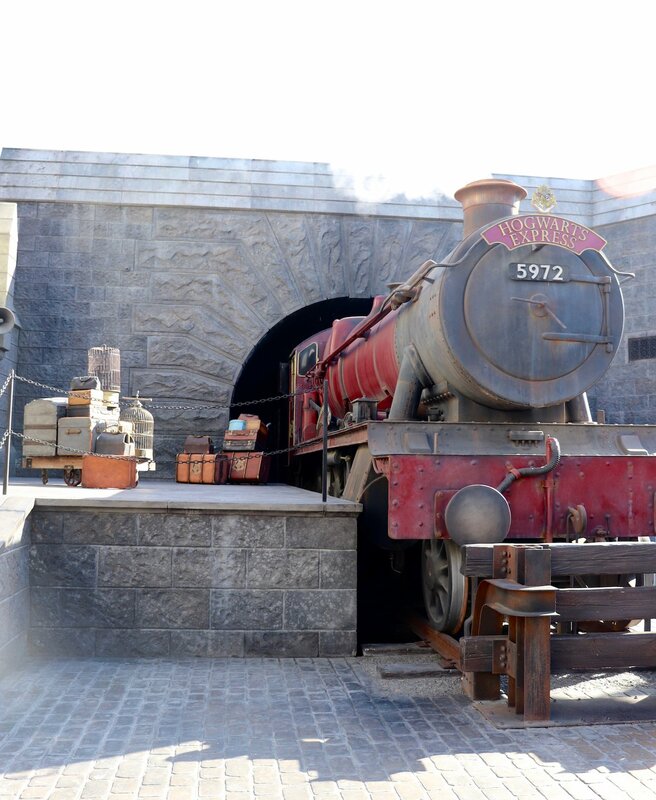 And of course we couldn’t miss the famed Studio Tour. This is a must do. It was not only informative but a lot of fun. We saw the sets of popular movies and TV shows, along with some of the props used. 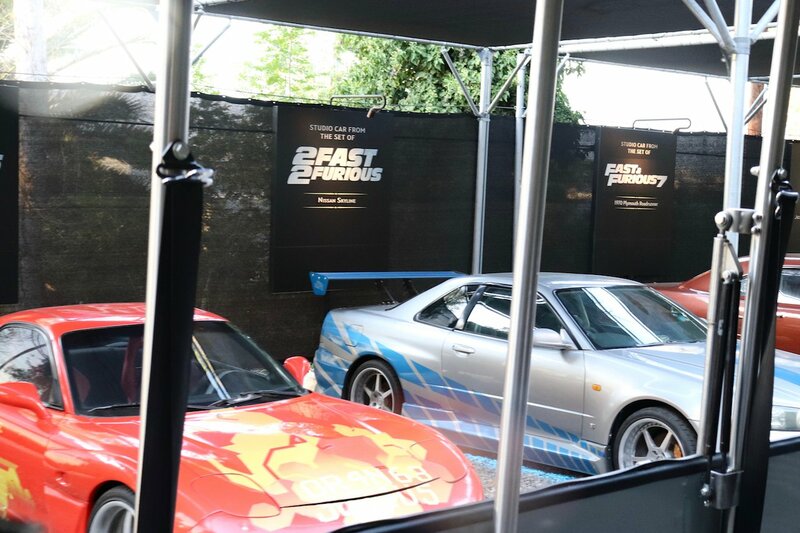 Like these cars from the 2 Fast 2 Furious Movie. Speaking of the movie series, The Fast & Furious- Supercharged 3D Assimilation was the grand finale of the tour. It had us holding our breath and onto our seats. The mid tour King Kong 360 3-D Assimilation had us terrified, it was so realistic. We laughed about it later though. 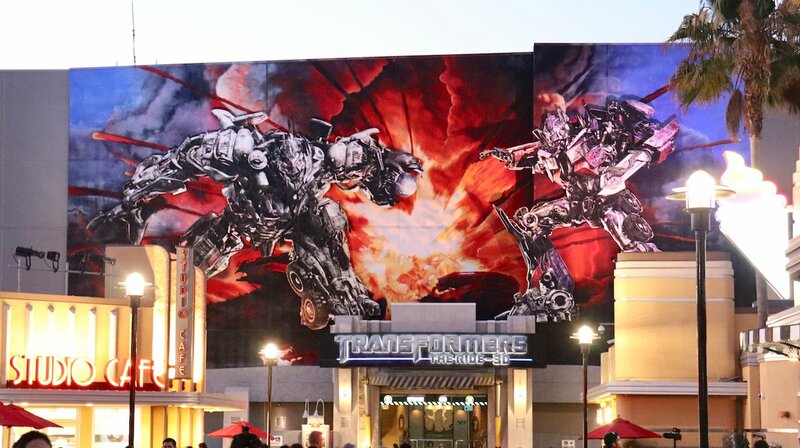 After surviving the 3D attractions on the tour we decided that we were going to be brave and do Transformers The Ride 3D. But it was having technical difficulties and was therefore down. Maybe next time. By 9pm we were really hungry and tired. 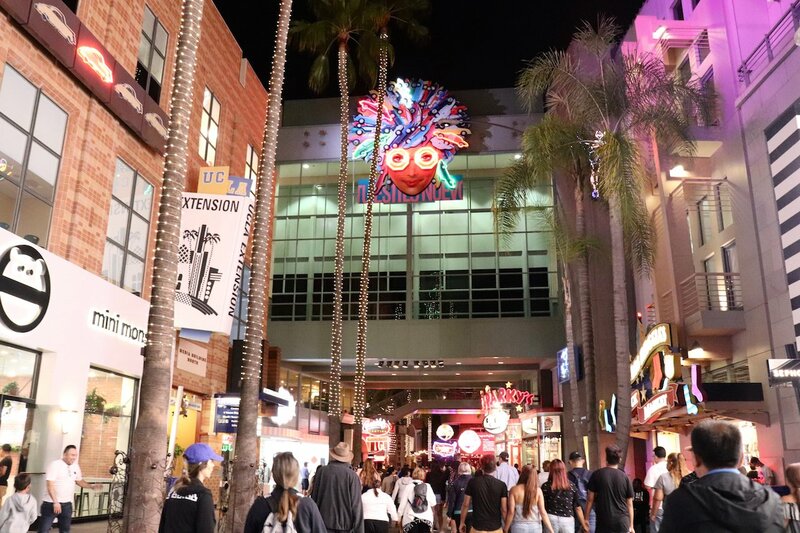 So we decided to take a stroll through CityWalk and get dinner. We ended up eating at Bubba Gump. 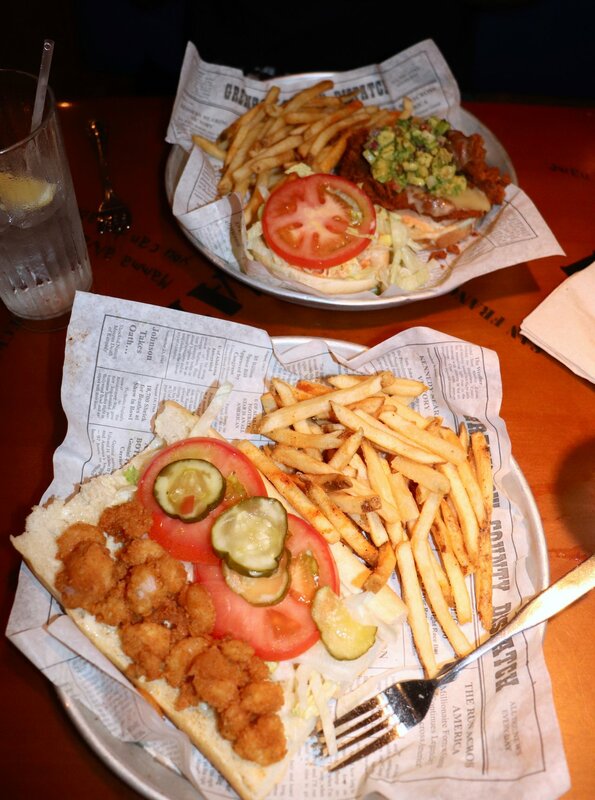 I had the Shrimp Po’ Boy and my son had a Fried Chicken Sandwich. Everything was so fresh, cooked to perfection and delicious. After dinner, we took the shuttle back to the Metro. Then took the Metro back to our hotel and fell out. 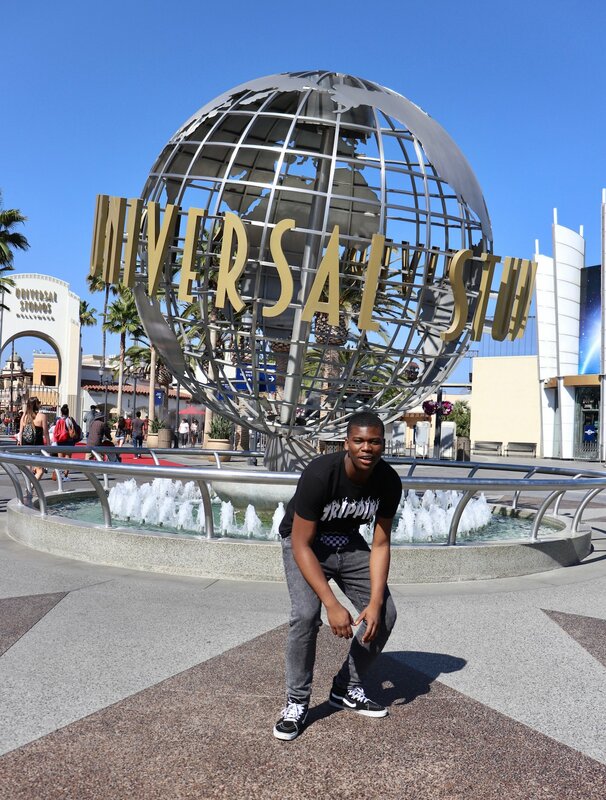 My son had an amazing 1st day of his 16th Birthday Trip. Complimentary accommodations were provided for some attractions and/or locations. However, all opinions are my own. See my Disclosure page for additional information.